The Christmas market was being held amid tight security this year, with unauthorized vehicles banned from surrounding streets during opening hours and checkpoints set up on bridges and access points to search pedestrians' bags. A source at the prosecutor's office said the motive for the shooting was not immediately clear and that an investigation was under way to see if it was terrorism-related. 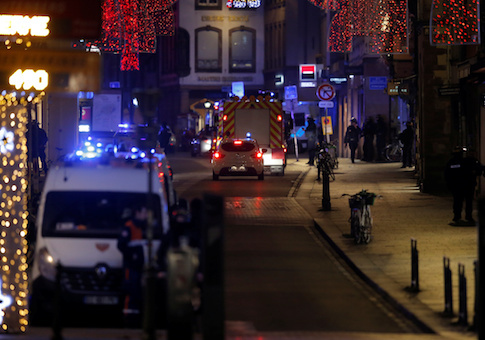 Ecology Minister Francois de Rugy tweeted: "Solidarity and support for the people of Strasbourg. Our support too for the security forces. We are united and determined to protect the French people." This entry was posted in National Security and tagged France. Bookmark the permalink.